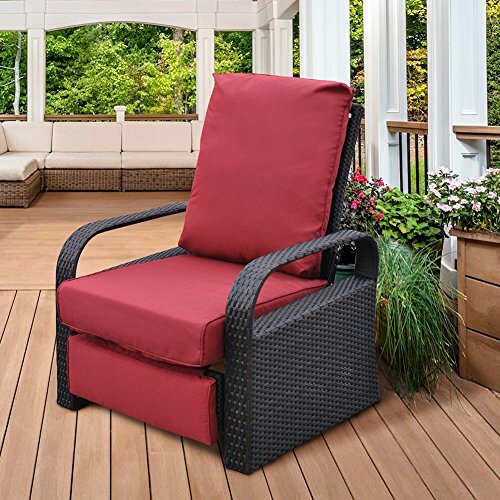 Best Outdoor Recliner Chairs to Have in Your Patio or by the Pool! What are the Best and Most Comfortable Outdoor Recliner Chairs to Have? One of the best outdoor furniture pieces to have by the pool or in the patio, in my opinion, is a couple of comfy outdoor recliners! They are great for reading outside or just relax while watching the kids play or counting stars at night! Since I am in an ‘outdoor mood’ today, I decided to do some research on the best outdoor recliner chairs for sale! This is a gorgeous 3-piece rattan outdoor recliner set for sale! Love the cute matching table! How perfect is it to have near your pool or in your backyard or patio area? The cushions are very thick and very comfortable! There is no maintenance involved and it will not fade! Can you imagine being right there right now, relaxing on those amazing wicker lounge recliners by that even more amazing pool? They are not only beautiful but also very comfortable and of great quality! *My condo recently purchased ten of those to put around the pool and after having used them personally I can say they are very comfortable and spacious. The only ‘problem’ in my opinion is that they can get really hot fast, maybe because they are dark brown, so you will probably need to always use a towel or chair cushion on top. What a gorgeous pair of caramel brown outdoor reclining chairs for sale! They are perfect to put anywhere outside! On your front porch, by the pool, patio area, backyard, even in your front yard! 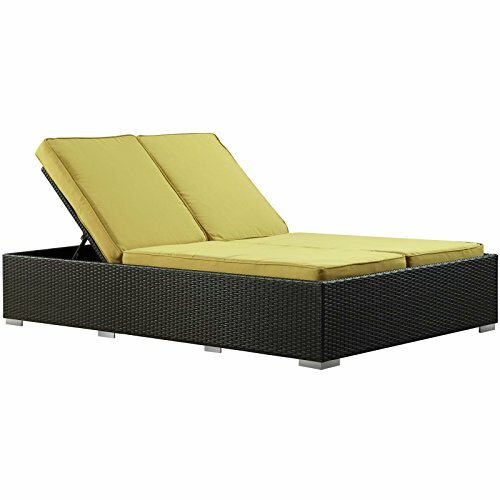 The comfy brown cushions are weather-resistant and the frame is made from aluminum and wicker. Can you think of a better way to relax by the pool with a great book than in this lounge chair? Is that a cute outdoor recliner chair or what? It is super lightweight, easy to move around and easy to clean! Did I mention it’s also super comfortable? I think it is perfect to have near the swimming pool! Do you need anything else besides this comfy outdoor lounge chair? 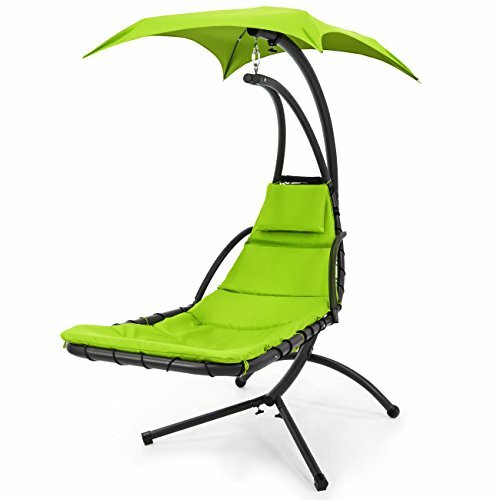 Awesome Anti Gravity Extra-Wide Folding Recliner Chair with Canopy and Cup Holder for Sale! I guess this awesome folding recliner chair with canopy and a cup holder is pretty self-explanatory, isn’t it? Perfect to have a great time outside! I have two of those in my porch and my husband and I absolutely LOVE them! They are so relaxing! Just imagine having a cold drink, sunglasses, a bathing suit and relaxing on your new anti-gravity ergonomic recliner! Very comfortable, very stylish, very practical and best of all: very portable! One of the best reclining chairs to have by your swimming pool! Double Outdoor Chaise Rocker Chair! 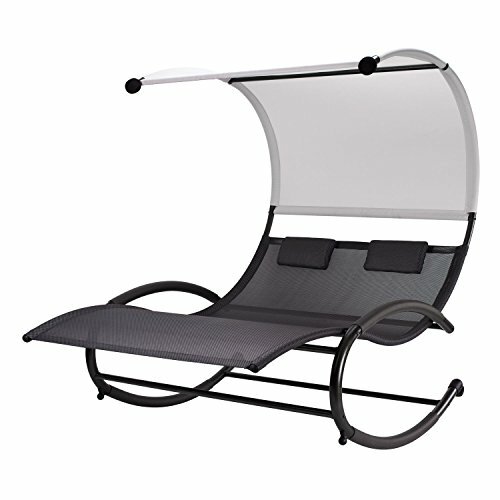 It is a double chaise rocker outdoor ‘hammock-style’ chair! Now you and your hubby can relax all the way down outdoors together! 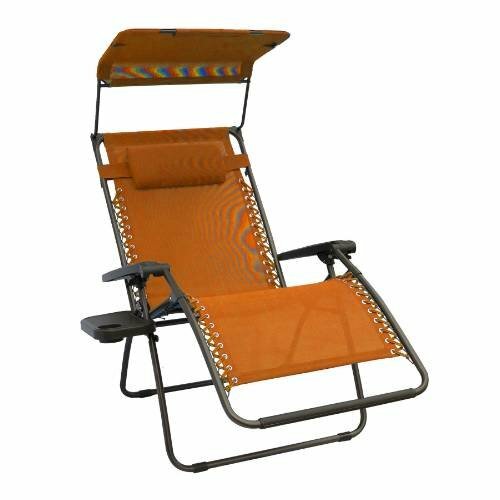 It has a very durable and sturdy (450 lb capacity) steel frame and the fabric dries quickly too! Every day will feel like vacation day! 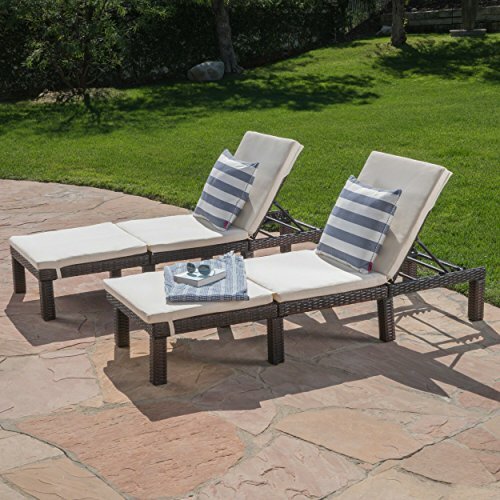 What a gorgeous and very comfy two-seater outdoor chaise recliner in a nice espresso color with comfy cushions! What a romantic way to relax with your love on a nice cool evening! 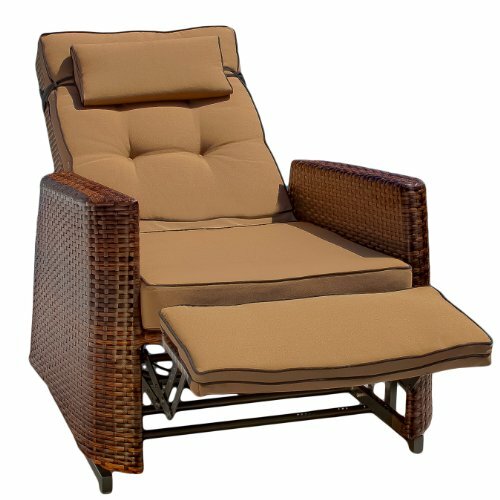 Best Outdoor Recliner Chairs to Have by the Pool! 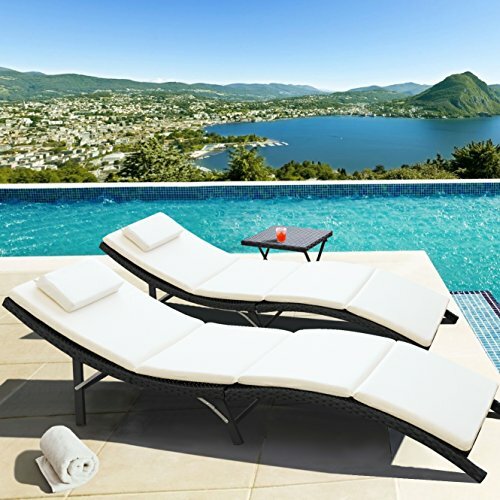 Just looking at those gorgeous white chaise lounge recliners with cushion makes you want to magically enter this picture and go lie down by that amazing pool! Can you think of a more comfortable way to sunbathe than this? You will get two beautiful white chaise lounge chairs! *Did you enjoy these outdoor recliners? How about checking out these amazing outdoor couch sets and daybeds too?